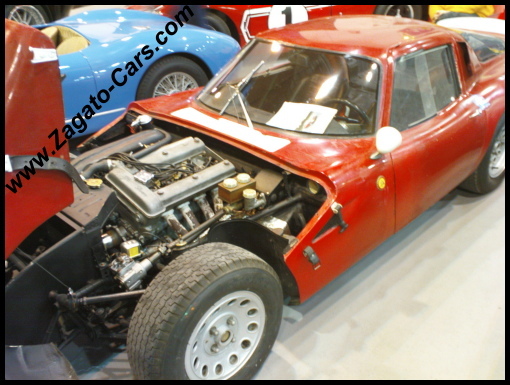 April 1966 Roberto Nerini Italy First private owner. 1967 Italy A website writes: Crashed. A website writes: Rebuilt with TZ-2 body by Auto Delta. 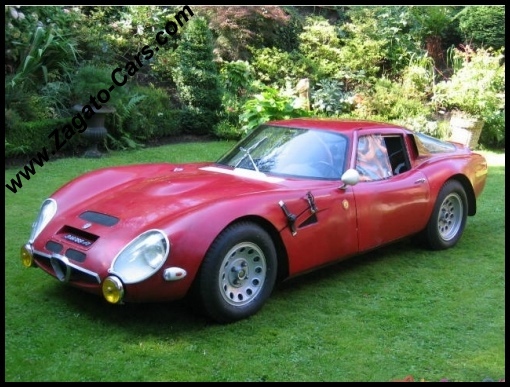 1984 Marcello Minerbi writes: Rebuilt with TZ-2 body by Auto Delta. 2003 Italy A website writes: Still with the same owner and driven on a regular basis. March 15, 2006 ? Photos and short info appear on Blogspot. The distributor turn opposite to a normal engine"
The TZ 1 and TZ 2 share the same chassis, engine, gearbox rear axle etc, the main difference is dry sump engine and fiberglass body. Engine, brake, suspensions have been rebuilt. The engine is experimental Autodelta with very special parts. August, 2010 The car is still for sale. The car was shown at Autoworld, Brussels, Belgium. So far, no actual proof whatsoever has been presented that supports the above story that 750004 was transformed into a TZ-2. 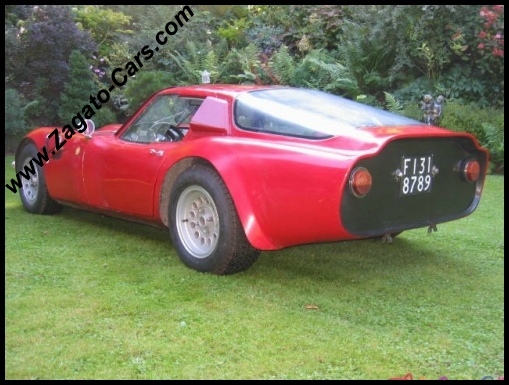 Alfa Romeo TZ 2 AR10511 750004 ?